Hacienda is a restaurant located in the heart of Bratislava, easy to spot, and with lots of tempting food on the menu. But, is it worth the time and the money? We recently wrote about our dinner in Los Mexikas in Bratislava which was a total disaster. But, what about our stay in Hacienda in Bratislava? The first impression of Hacienda is way better than the Los Mexikas impression. The place looks nice both from the outside and on the inside, and the menus make you hungry! The prices of the restaurant are just average, not very cheap, but not at all that expensive either. In other words, if you want to eat dinner in Bratislava at an average price, Hacienda might be a good option for you! The menu in Hacienda is packed with food that most people will like, meaning that families can easily visit the place and find something that they will like and enjoy at the menu. We ordered a hamburger and a quesadilla. The hamburger, as you can see in the picture above, looked nice and everything was fine. It wasn’t a hamburger I would travel to Bratislava to taste, but as an average hamburger, I would judge it to be just fine. 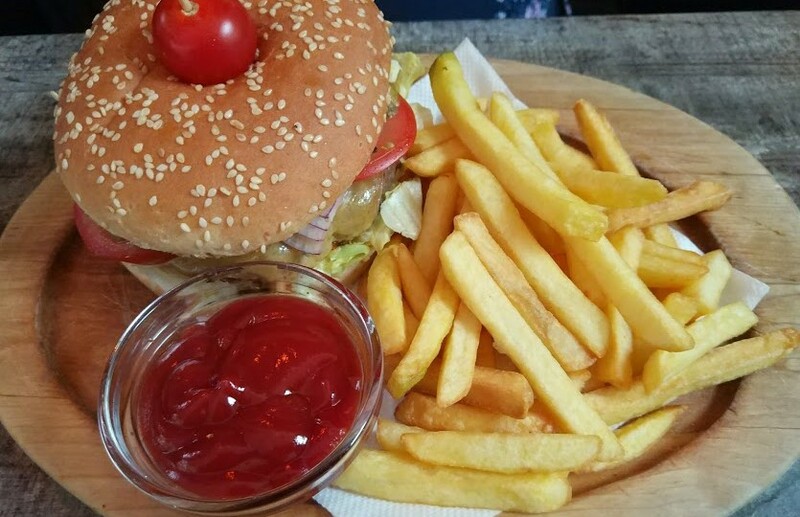 If you want a better burger, then there are for sure other places worth visiting in Bratislava, and there is also Lucky 7 Burger in Budapest. There were lots of different quesadillas at the menu in Hacienda, and they all looked very good. As you can see at the picture above, it looked nice on the plate, and the taste was just the same. The judgment on the quesadilla was quite similar to the hamburger judgment. It was a great thing to eat for dinner, but not a taste and an experience we would return to the restaurant to taste several times. 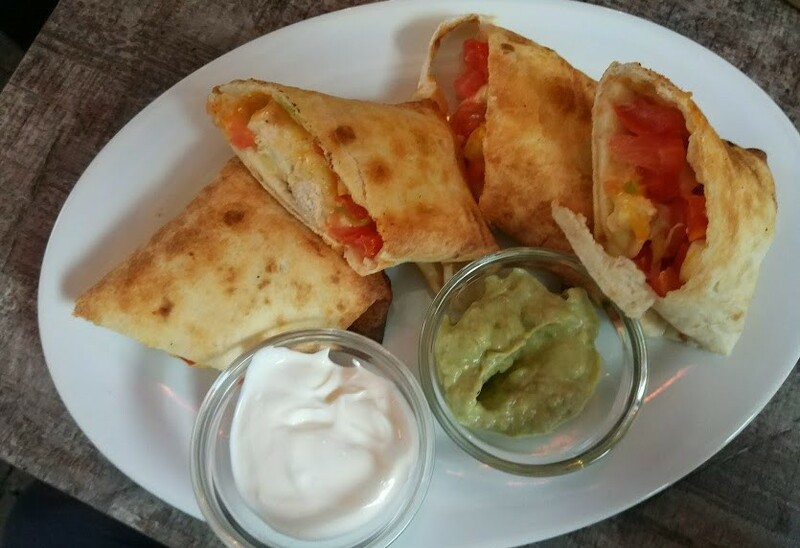 But, if you like a good quesadilla, it is a sure winner if you pick it from the menu. How much did this experience cost us? It wasn’t bad at all. The prices for most main courses were between 8 and 20 Euro, with most costing around 10 Euro. In other words, not bad prices at all, and not at all more expensive than most other restaurants in the center of Bratislava. We have no problem recommending Hacienda as an option for a family dinner in Bratislava. It might not be the best restaurant you will ever visit, but there are for sure a hundred times worse restaurants you could pick! Conclusion: Hacienda is a safe bet for a safe and good dinner in the Slovakian capital! « Los Mexikas in Bratislava – Worth a visit?